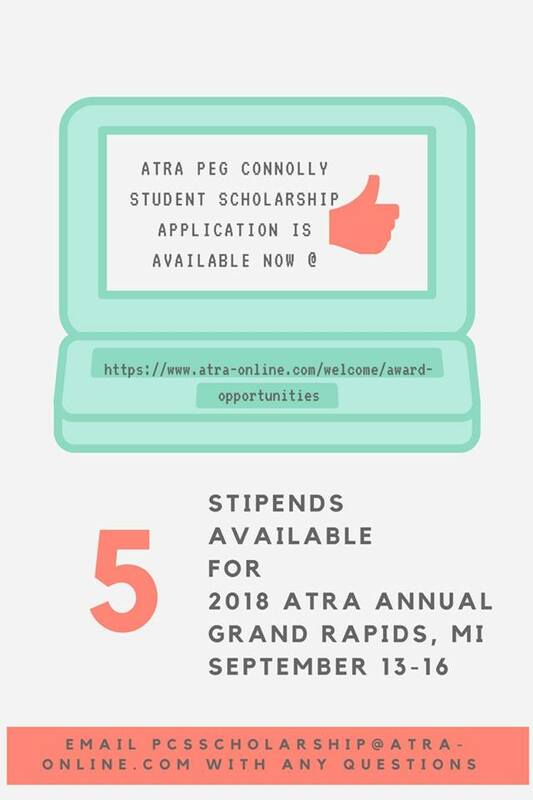 I [Danny Pettry] highly recommend for college students in RT/TR degree programs to apply for the Peg Connolly Scholarship. The winners get to attend ATRA’s national conference for free and get to monitor sessions. You’ll meet a lot of people in the field. It is named in honor of Dr. Peg Connolly (first President of ATRA) and former Executive Director at NCTRC. I had won the 2004 Peg Connolly Scholarship (Kansas City, Missouri). It was the 20th anniversary of ATRA. I assisted with training the Peg Connolly Scholarship winners for the 2009 ATRA conference in Kansas City. I’ve assisted with the scholarship selection committee for several years. I won’t be reading essays for students in 2018. Danny Pettry disclaimers: I am a not a hired spokesperson for ATRA. I’m not an elected board member for ATRA. I am a Lifetime Member of the Association who is active with ATRA and encourages others to join the association.